Christopher Walton Cooper was born on the 9th July 1951, in Kansas City, Missouri USA, and is an actor, best known to the world for his roles in such films as “American Beauty” (1999), “The Bourne Identity” (2002) and “Adaptation” (2002), among many other differing roles. 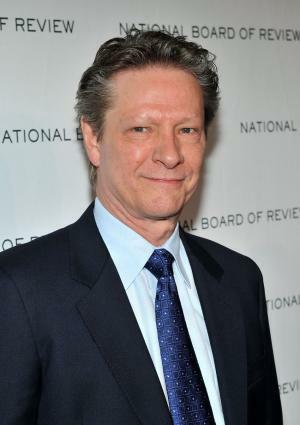 Have you ever wondered how rich Chris Cooper is as of early 2017? According to authoritative sources, it has been estimated that Cooper’s net worth is as high as $10 million, earned through his successful career in the entertainment industry which began in the late ‘80s, during which he has won several prestigious awards, including Academy, Golden Globe and SAG Awards. Chris is the son of Charles Cooper and his wife Mary Ann, nee Walton. Chris spent his childhood at his family’s cattle ranch near Leavenworth Kansas, and also lived for a while in Las Vegas, Phoenix and Houston. He attended high school in Kansas City, and during those years found his first job at a local theater company as a carpenter. Following his matriculation, Chris continued with his work in theater, only he changed the theater group, and still worked for his father at the cattle ranch. He then enrolled at the University of Missouri-Columbia, majoring in set design, but in his sophomore year switched his major to acting. Slowly his acting classes became more frequent, and part from acting he also learnt how to dance at Stephens College. Following his graduation, Chris moved to New York, and lived with four other young actors. While there he held several odd jobs in order to support himself, and took acting classes under Stela Adler and Wynn Handman. Before his career took-off, Chris worked with the Actors Theater of Louisville and Seattle Repertory. His screen debut came in 1987, when he was cast as the lead in the John Sayles’ history drama “Matewan”, with James Earl Jones and Mary McDonnell. Two years later he portrayed July Johnson in the TV mini-series “Lonesome Dove”, next to such stars as Robert Duvall, Tommy Lee Jones and Danny Glover among others. He repeated his role in the second installment of the show “Return to Lonesome Dove” in 1993. His net worth was now set. In 1991 he had a role in the drama “Guilty by Suspicion”, starring Robert De Niro and Annette Bening, and then in 1996 featured in the thriller “A Time to Kill”, with Matthew McConaughey, Sandra Bullock and Samuel L. Jackson as the stars of the film. Also, the same year he starred in John Sayles’ Academy Award- nominated drama “Lone Star”. Two years later he portrayed Joe in the film based on Charles Dickens’ novel “Great Expectations”, with Ethan Hawke and Gwyneth Paltrow. The same year he appeared in Robert Redford’s Academy Award- nominated western drama “The Horse Whisperer”, and in 1999 played Colonel Fitts in Sam Mendes Academy Award- winning romantic drama “American Beauty”, starring Kevin Spacey, Thora Birch and Mena Suvari. His net worth was rising steadily. Chris started the new millennium quite successfully, appearing in Roland Emmerich’s action drama “The Patriot” (2000) with Mel Gibson and Heath Ledger as leads, and in 2002 played Conklin in the action thriller “The Bourne Identity”, starring Mat Damon, and also in 2002 he portrayed John Laroche in the film “Adaptation”, the role that won him both Academy and Golden Globe Awards, and certainly added a substantial amount to his net worth. In 2003 he played Tom Smith in the film “Seabiscuit” with Tobey Maguire and Jeff Bridges, and then in 2005 appeared in the Stephen Gaghan’s thriller “Syriana” (2005). Two years later he starred in the drama “Breach” as Robert Hanssen, while the year 2010 was one of his busiest, appearing in several films including John Wells’ The Company Men”, Allen Coulter’s “Remember Me”, Ben Affleck’s “The Town”, and “The Tempest”, directed by Julie Taymor, all of which certainly added to his net worth. Chris continued with his acting career in this decade, and has starred in such films as “August: Osage County” (2013), “Demolition” (2015), and “Coming Through the Rye” (2015). Currently, he is working on the film “Light on Broken Glass”, due for release in late 2017. Regarding his personal life, he has been married to Marianne Leone since 1983; the couple had one son, Jesse, who was born prematurely and battled cerebral palsy throughout his life, which ended in 2005. In his honor, Chris has started the Jesse Cooper Foundation. 3 Usually plays characters that are associated with the government (including the military), politics, or agencies. See: The Bourne Identity (2002), Silver City (2004), Syriana (2005), Me, Myself & Irene (2000), Jarhead (2005), The Patriot (2000), American Beauty (1999), Breach (2007). 1 The Bourne Identity. It's pretty amazing. I had the Bourne script for a good month and a half, and I knew I was going to Prague to shoot my segment of the film. So two weeks before I'm off to Prague, I get a call from the production company, and they say "Look, forget the script. We've got a lot of re-writing to do, and we'll send you a script as soon as we can." So a week goes by, and I'm getting pretty freaked out, because here I am, and I don't know what the heck I'm going to do. And I'm not a quick line-reader. I don't learn lines real quickly. So a week went by, and it's a week before I go to Prague, and I get another script. I no sooner set that script down, than within an hour, production's calling saying "Forget that script. We're still in re-writes. We'll send you something as soon as we can." I flew to Prague without a script. I didn't know what the heck I was going to do. I think it's fair to say-I think it's been out in the atmosphere enough that people know that's just how the shoot went. And I think it's kind of how the second shoot went. We were working 12-14-hour days, and then I would find myself hanging around the set for another hour asking anybody, "Do we have pages for tomorrow?" And it was a great, great example of finding that survival gear. I mean literally, that gear to work in that kind of situation. All those guys, that support team that I had around me while we were tracking down Bourne, we'd get these pages of technical jargon, and we'd have to go off to a quiet corner for a half-hour and just jam and learn these scenes and make them look interesting, and make them look like we knew what we were talking about. So that was quite an experience. Boy, somebody was watching out for me, because at the same time, I'm going through jet-lag, and doing a lot of physical scene work, and I would get maybe four hours of sleep a night. And I'm just so surprised it went as well as it did. 2 (On his role in The Town) It's like one scene. But a great scene, I think. This is a great adaptation from a Chuck Hogan book called Prince Of Thieves. I play Ben Affleck's father, who is doing five life terms for a Brinks heist that I committed and killed a couple of the guards. But this story is generational. It's thieves who pass down their triumphs and mistakes to the next generation, so that they don't make the same mistake that the previous-like I had made. So Ben is visiting me in Walpole Prison. We spent just a great day with this prison visit scene. And Ben was kind enough to assemble 13 minutes of film that involved every reference to my character before my scene, so I could see how other people saw him before I played him. 3 (On landing Lonesome Dove) It's a mystery-I know they auditioned a lot of folks in L.A., and if I remember correctly, they had a handful of actors they were going to read in New York. And why or how I got the opportunity to audition for Lonesome Dove, I have no idea. But I knew that character of July Johnson was just-seemed to fit me like a glove. And I worked my tail off on that audition. And also, somehow, somewhere getting the news that the director felt pretty sure he had cast the role of July Johnson, that just spurred me on to try and give the best audition I could ever give at that time. And I guess it worked out. 4 (On Adaptation) The audition I did was very, very unusual, in that when I read the script, I just saw so many possibilities and ways to play a scene. If you're not familiar with the audition process-you're lucky if you get a second reading of the character. I went to the audition and pleaded with Spike to please allow me to show him four or five interpretations of a scene. And he let me do that. We did four, possibly five scenes where I showed him different ways I thought this could be played. Then once I was cast, and we were shooting the film, when the finished product came out, that's how Spike directed me. He would say in a particular scene, "Okay, here you are picking up Susan Orlean at her hotel, and you're going into the Everglades or whatever. Okay, on first meeting her, you could be terribly intimidated. Here you are, this Florida redneck cracker meeting this intellectual New York journalist, and you're completely intimidated. Okay, now play it like you're the smartest guy in the world, and she's lucky to have this time to spend with you. So you're very confident." So on and so forth. So we'd play all those different variations, and then when it came to editing the film, it was up to Spike to choose what take he wanted. And that became a real surprise to me at the premiere when I saw the film, because I didn't know what take he was going to use. 5 (On Money Train) We had just moved to Kingston, I think in '94. I think I had gone into New York and auditioned for one or two characters in that script, and we bought this little house here that we still live in. And financially, we had no business buying this house. We were scared to death. So it was an opportunity to make some money and do another film role, and it's something I thought would be very challenging. It turned out to be... Certainly not a pleasant character. Sometimes you go into those dark areas, and that's what you're called to do. It was a pretty wicked, awful character, considering what he did. I just really can't say that was an enjoyable role. It was more of an opportunity, and kind of survival. Something for a number of reasons that I just had to do. 6 (On landing his role in Matewan) That was my first feature film, but it came in kind of an interesting way. My wife [Marianne] was also an actor. When we were living in New York, she answered a backstage ad for an NYU student's film, and that turned out to be Nancy Savoca. So Marianne did Nancy's half-hour junior black-and-white piece. Then she and Nancy and Rich, Nancy's husband-we all four became real good friends from that experience. Then Nancy worked on Brother From Another Planet when John [Sayles] was shooting that. And she was aware that John beforehand had lost financing. He wanted to do Matewan, but lost the financing, so he went on to do Brother From Another Planet. So Nancy gave John my name, and said, "When the time comes for Matewan, take a look at this guy." So that's kind of how that came about. It was an audition in midtown. I went up and read a couple of scenes. And then some months passed. I went to London to do a West End production with Harold Pinter-it was a Tennessee Williams play, Sweet Bird Of Youth, directed by Harold Pinter and starring Lauren Bacall. So in the seven months that I was over in England, news came. I got a callback to read some more scenes. So we did the Sunday matinée, and I had to get on a plane, fly to the States, do the audition, get back on the plane, fly back for Tuesday night's performance. I had virtually noooo sleep. I was really on a high just in anticipation of the audition. And then during that Tuesday-night performance, I came really, really close to fainting onstage because I was so tuckered. 1 Did not make his first screen appearance until he was thirty-six years old. 2 As of 2014, has appeared in three films that were nominated for the Best Picture Oscar: American Beauty (1999), Seabiscuit (2003) and Capote (2005). American Beauty (1999) won in the category. 3 One of his first notable roles was in Lonesome Dove (1989), in which he worked opposite Anjelica Huston. In The Kingdom (2007), he appears with her brother Danny Huston, as well as Jennifer Garner, who played Anjelica's character in the Lonesome Dove prequel Dead Man's Walk (1996). 4 His first foray into acting came when he was drafted from the set-builder ranks of his local community theater to serve as a last-minute substitute for Tom Berenger in a production of "A Streetcar Named Desire" as the paper boy. 5 Older brother, Chuck Cooper (born in 1948), is a contractor. 6 His parents were from Texas. His mother, Mary Ann (Walton), was a homemaker, and his father, Charles Sherwood Cooper, was an internist who served as a doctor in the US Air Force, and a cattleman. 7 Said he was afraid of taking the role in American Beauty (1999); his wife convinced him to take the role of the repressed soldier. 8 Graduated from Southwest High School in 1969. Southwest High School closed down in 1998 and reopened in 1999 as Southwest Charter School. Southwest High School is located in the Kansas City, Missouri School District. 9 As a young man, he did some construction work, including helping with the construction of Royals Stadium in Kansas City, now known as Kaufman Stadium. 10 Turned down the role of Jim Gordon in Batman Begins (2005). 11 He majored in agriculture and acting at the University of Missouri, Columbia, Missouri. 12 Studied ballet at Stephens College in Columbia. 13 Son, Jesse Cooper (with Leone), born 1987, died January 2005 from causes related to cerebral palsy. 14 Filmed scenes for The Ring (2002) that were cut, though a picture of him in a newspaper remains in the film. 15 Lives in Kingston, Massachusetts, USA. Alone 1997 TV Movie Gus Jr. Bed of Lies 1992 TV Movie Price Daniel, Jr. The Muppets 2011 performer: "Let's Talk About Me", "Life's a Happy Song Finale"